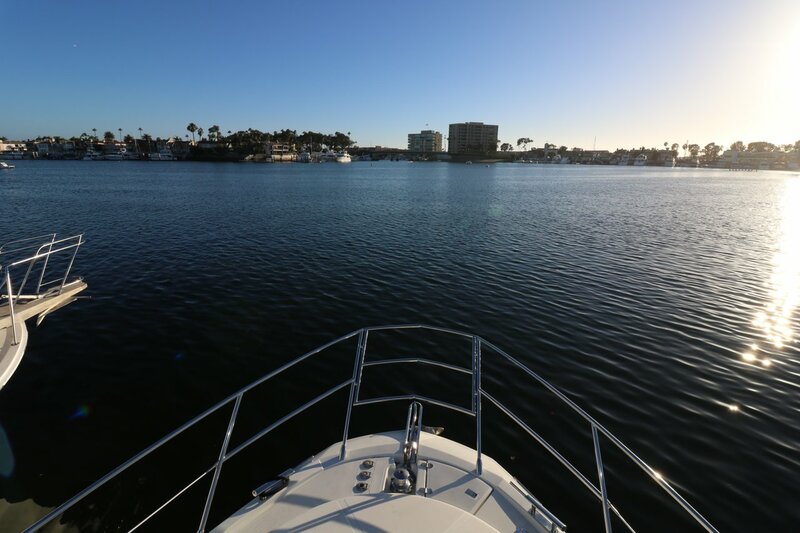 Serene on the water experience for those seeking a unique OC experience. Space is ideal for couples wanting a fun retreat, day chartering, private luxury events, and specialty trips. We also offer ample space for private and special events and dinner parties! 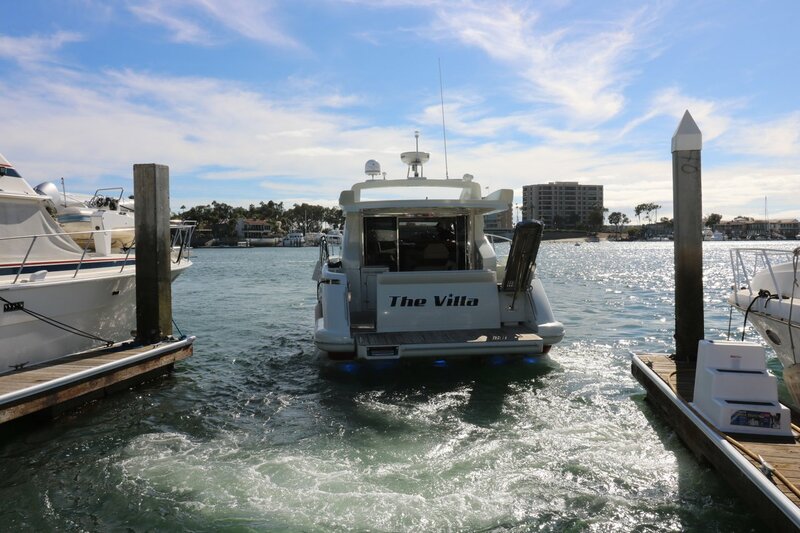 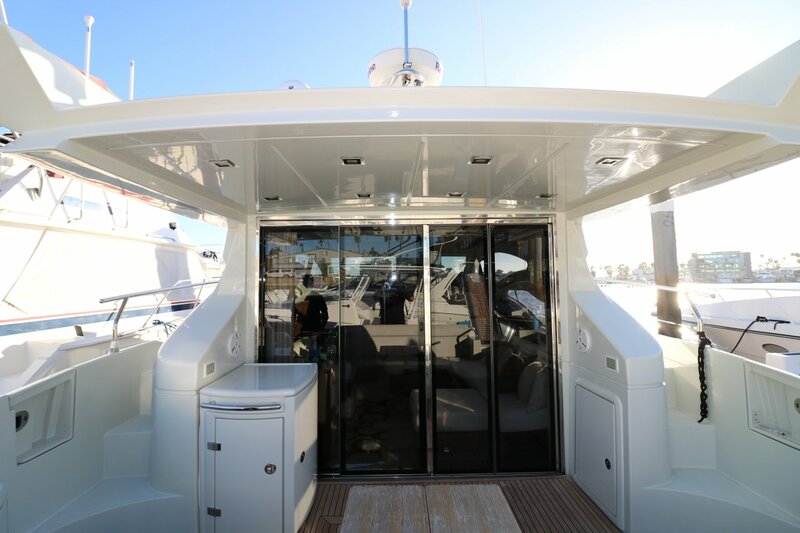 Guests can access all parts of the boat. 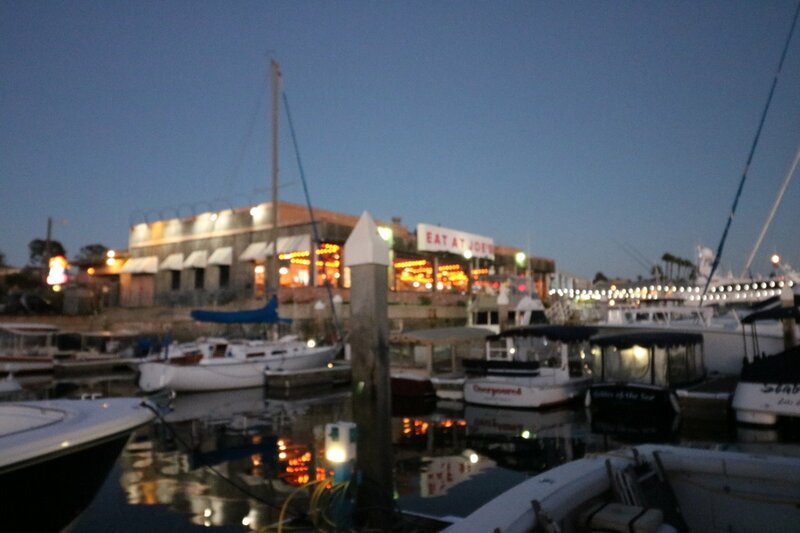 No climbing on the roof. 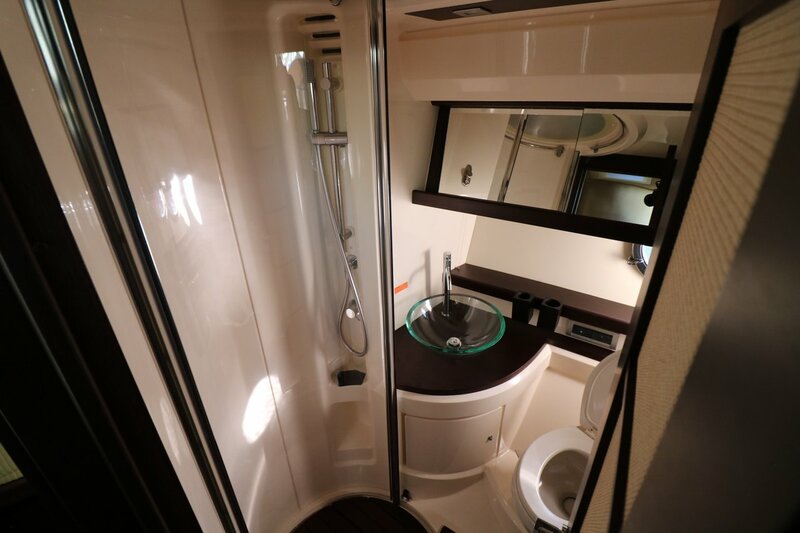 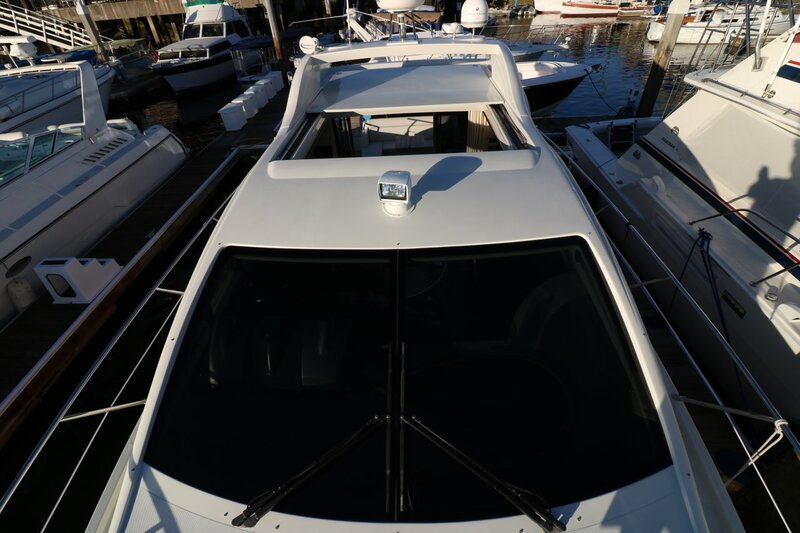 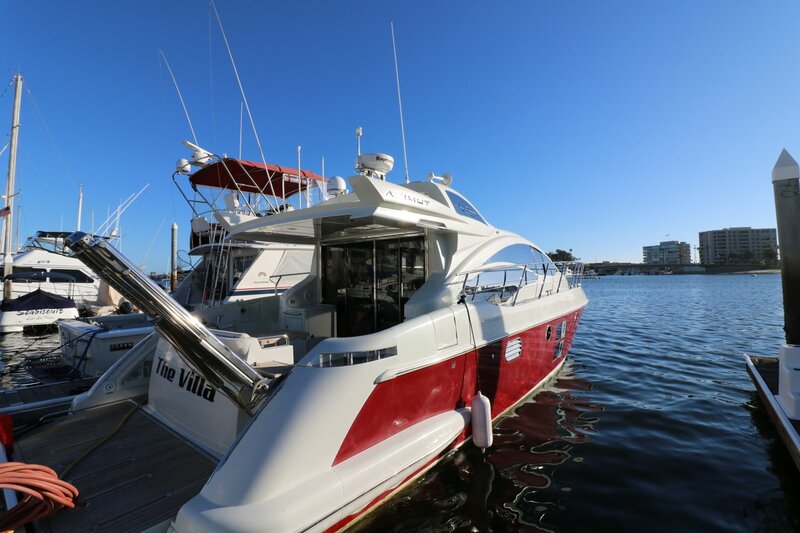 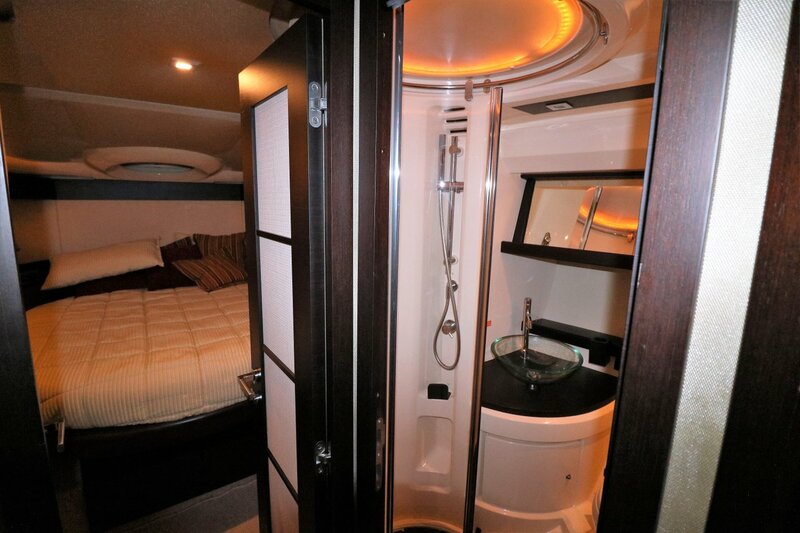 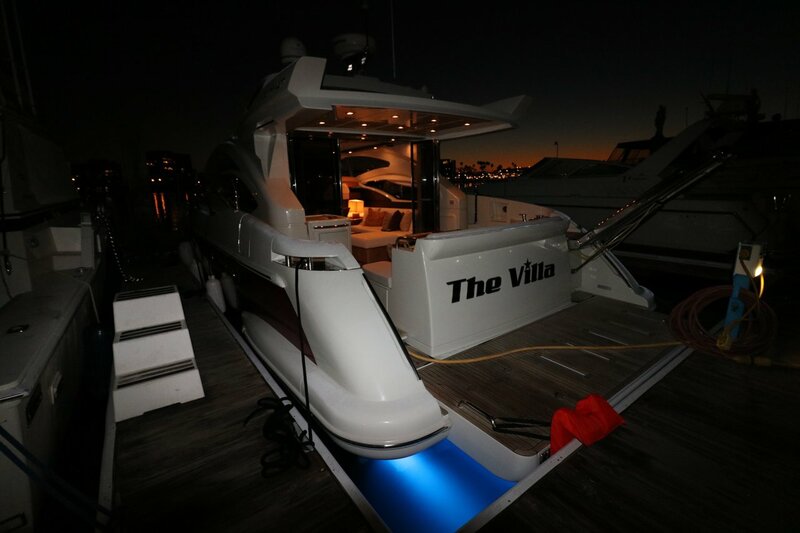 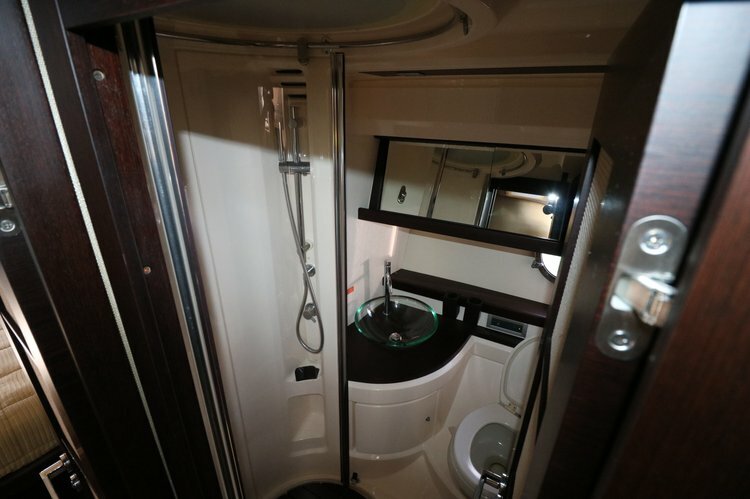 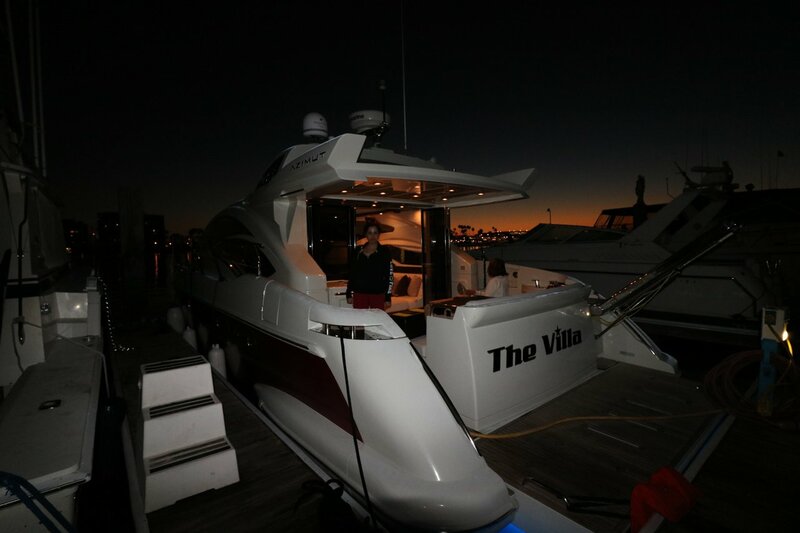 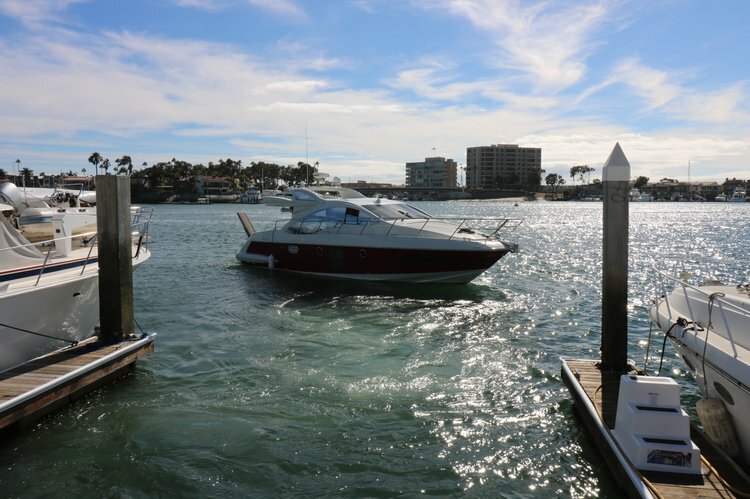 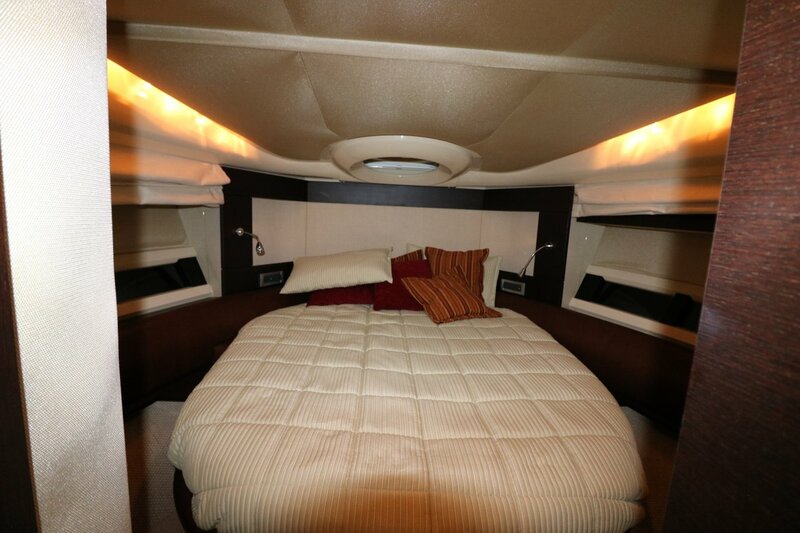 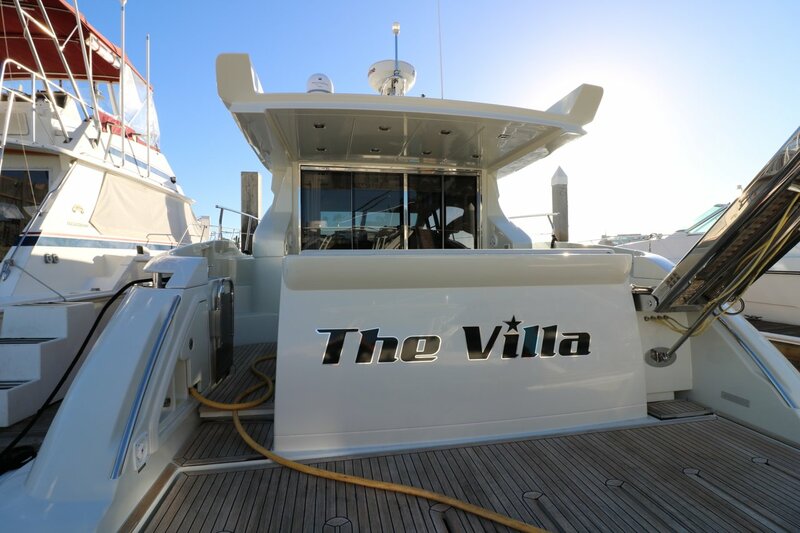 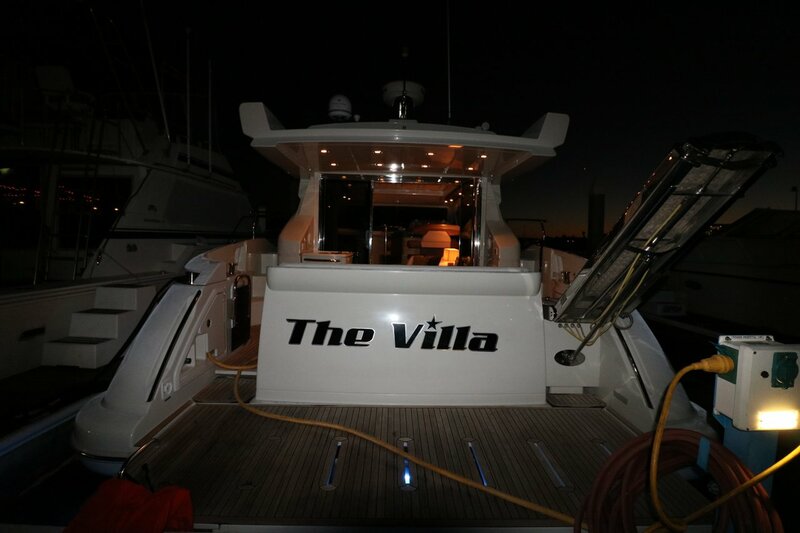 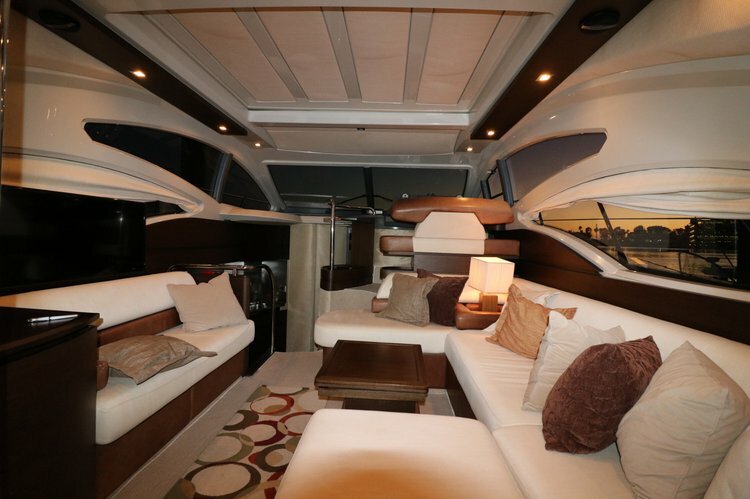 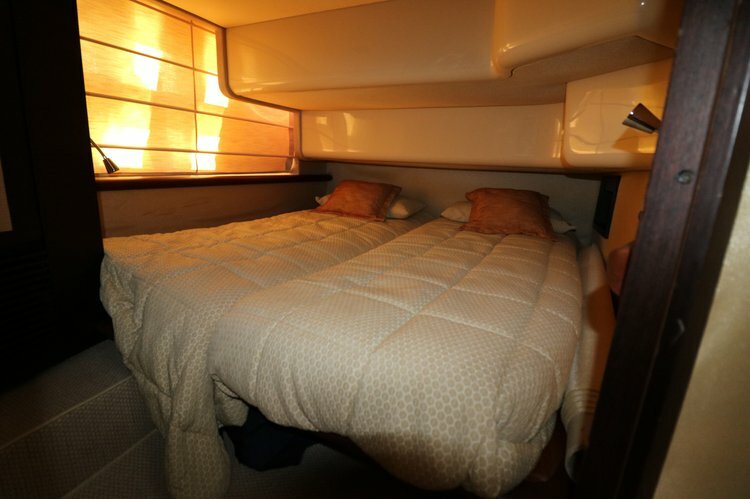 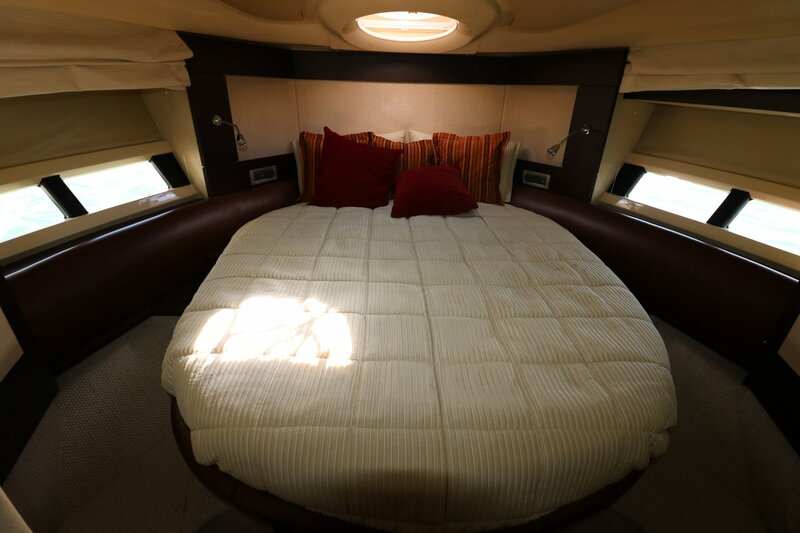 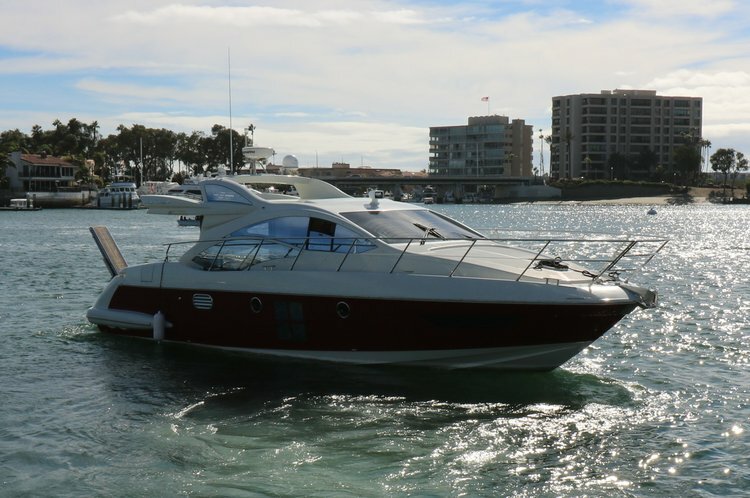 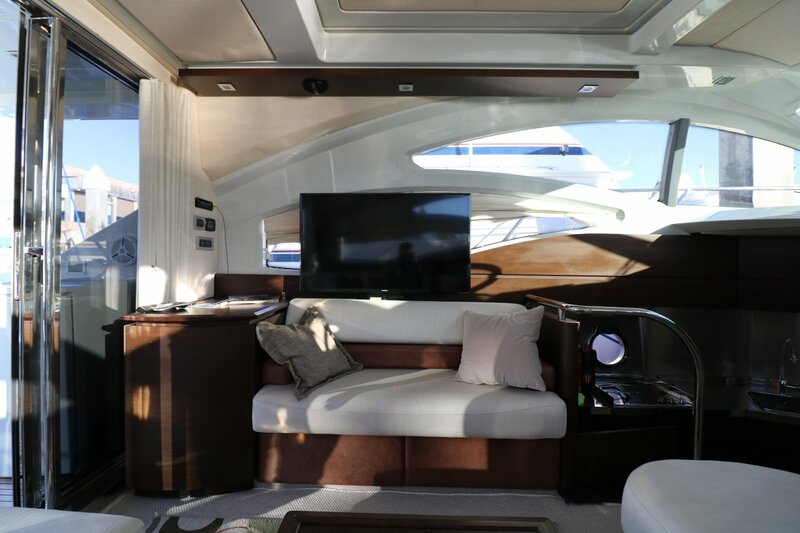 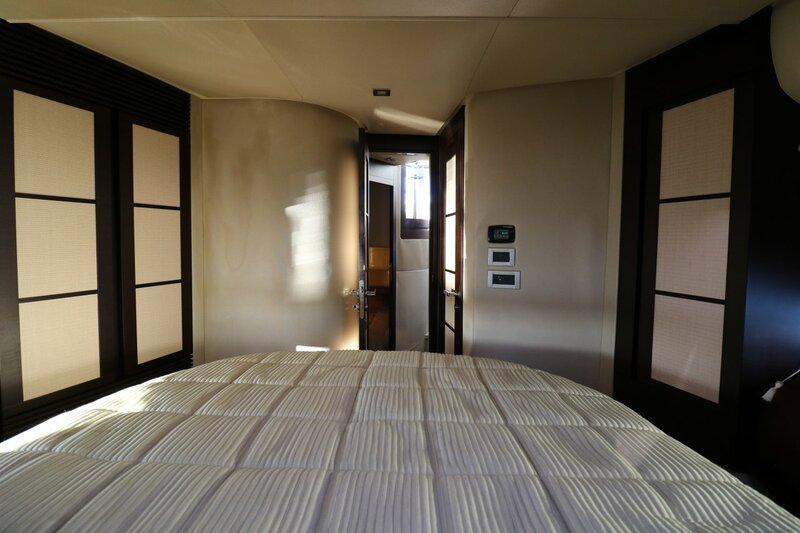 The yacht offers DirecTV and wifi, 42" flat screen TV, retractable sunroof, full kitchen, bbq and two bedrooms and two bathrooms. 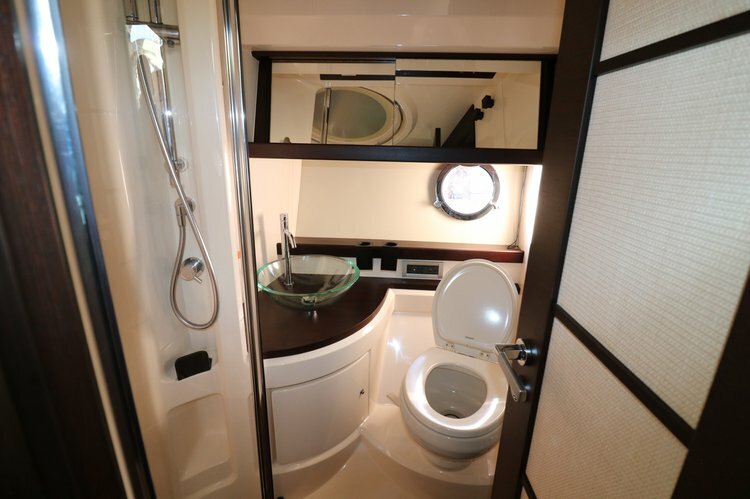 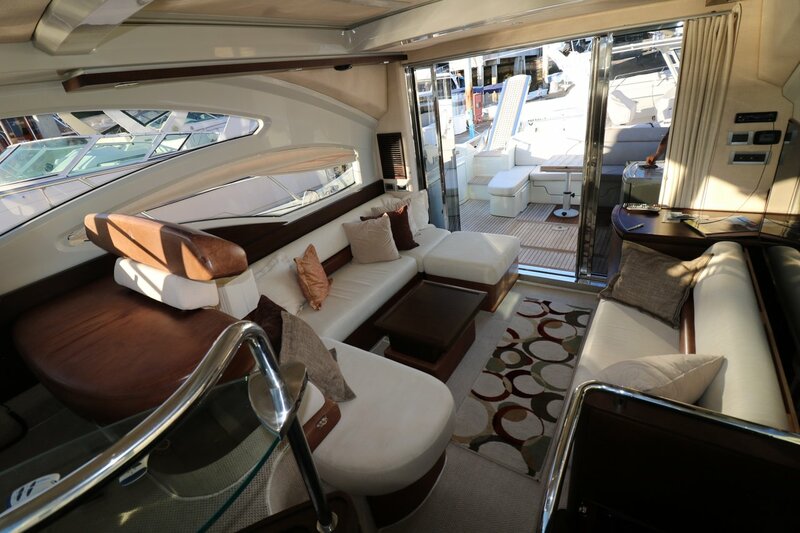 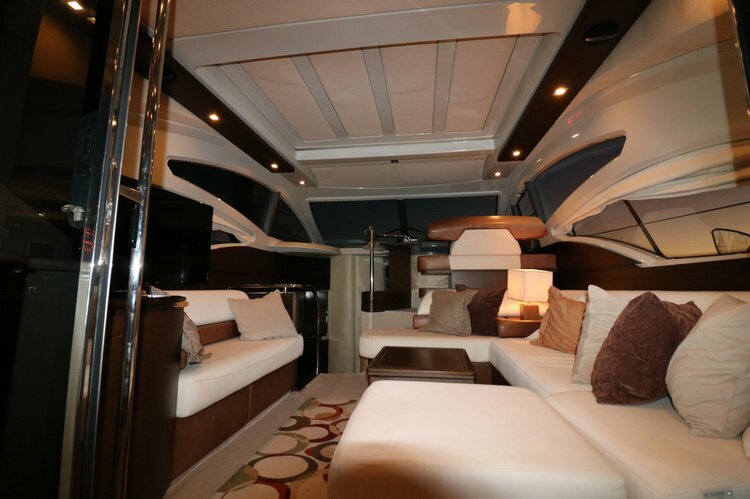 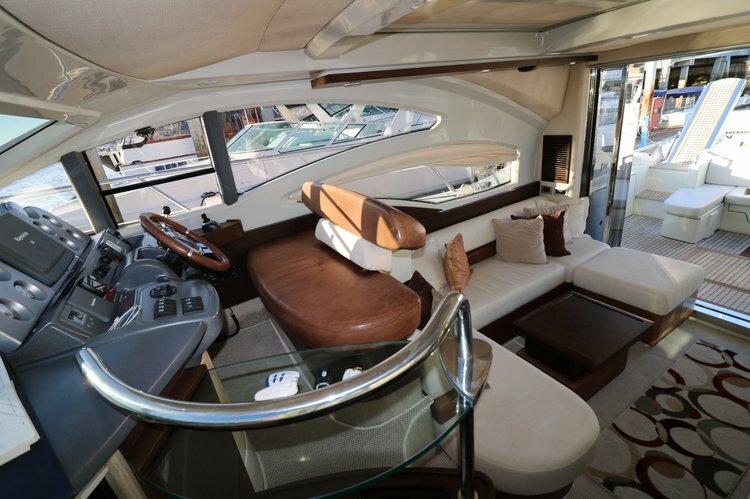 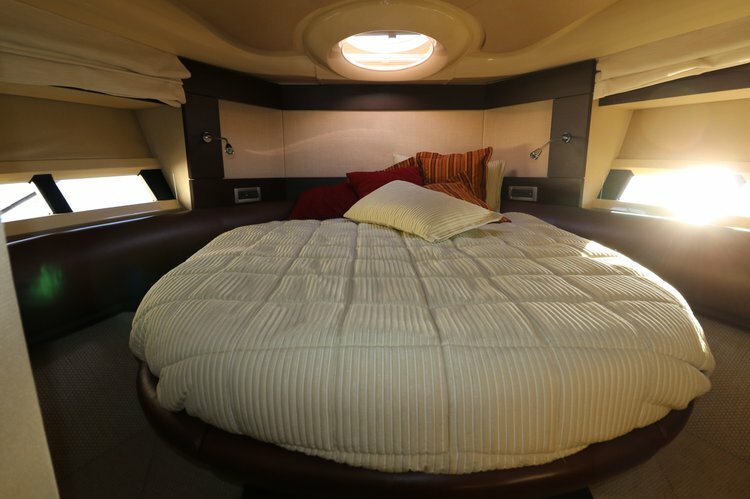 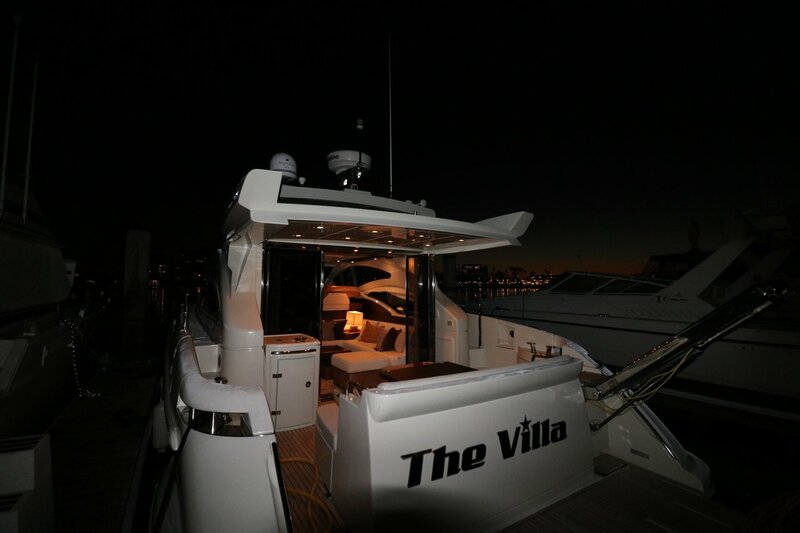 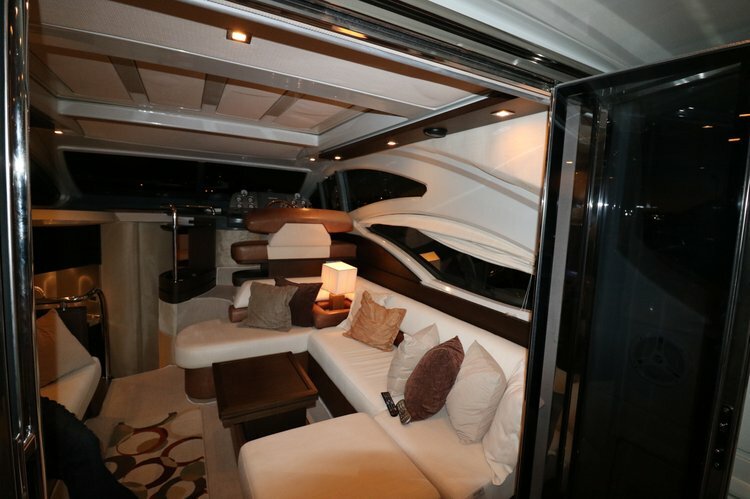 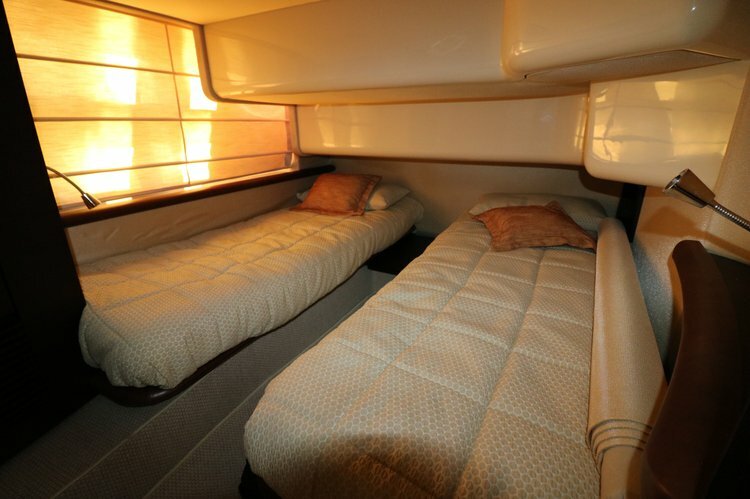 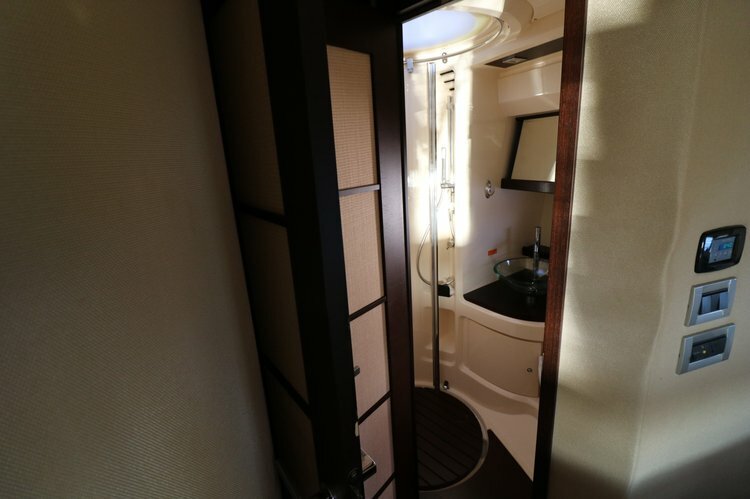 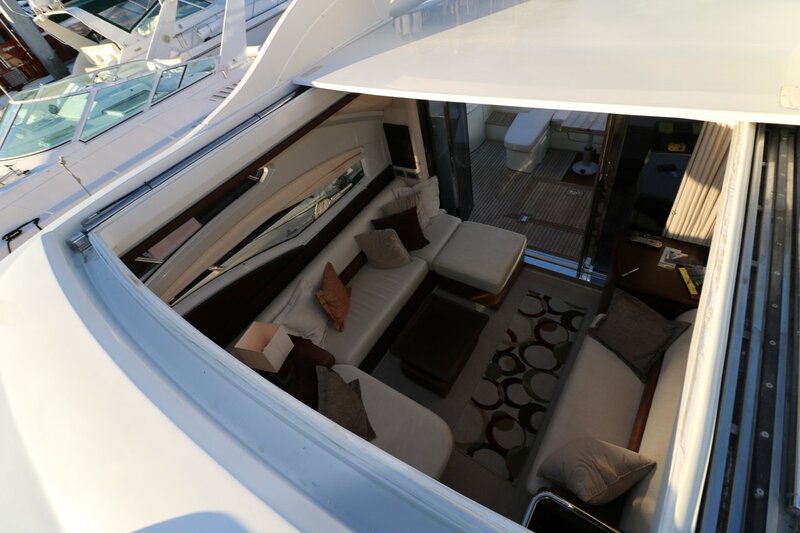 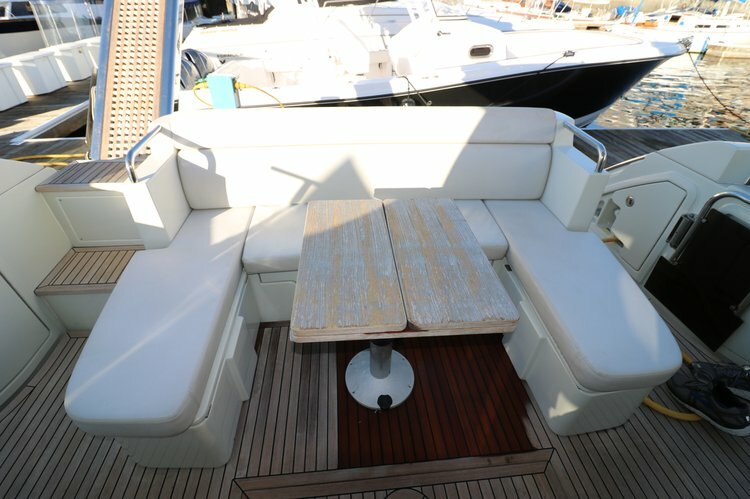 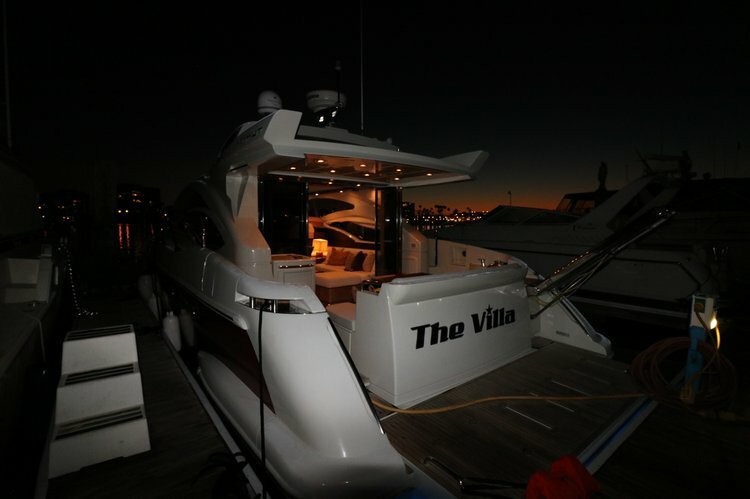 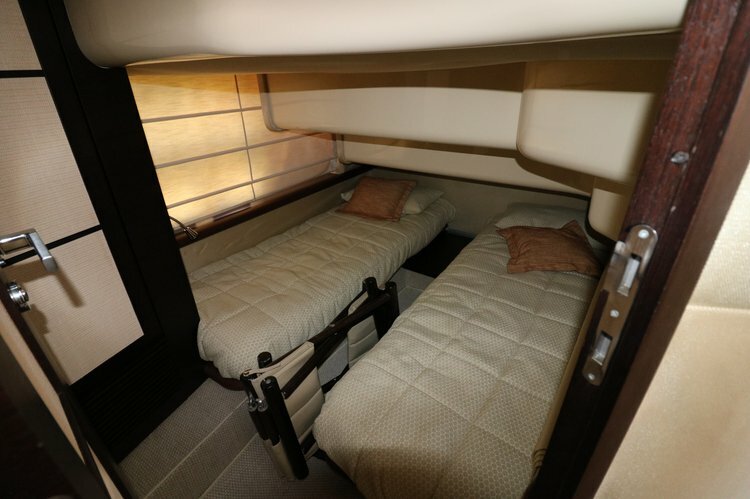 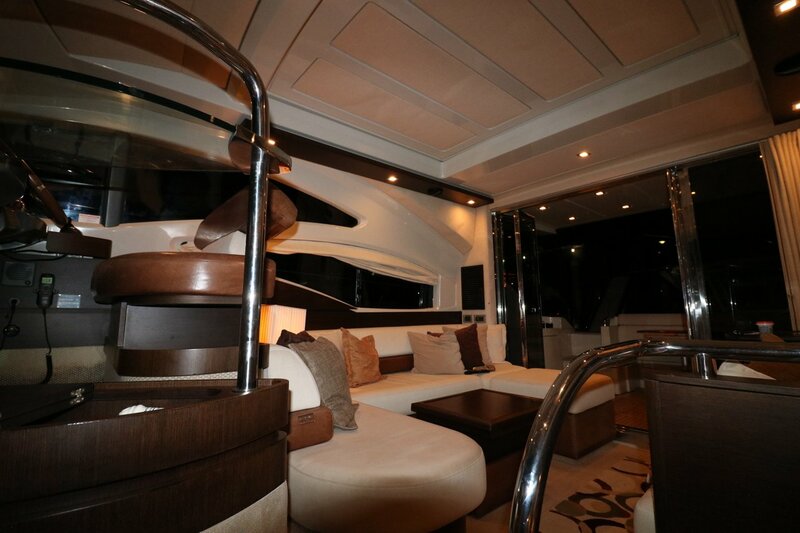 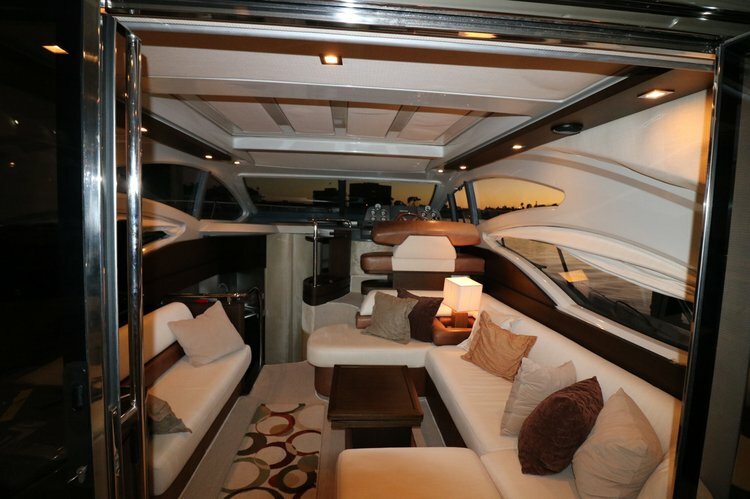 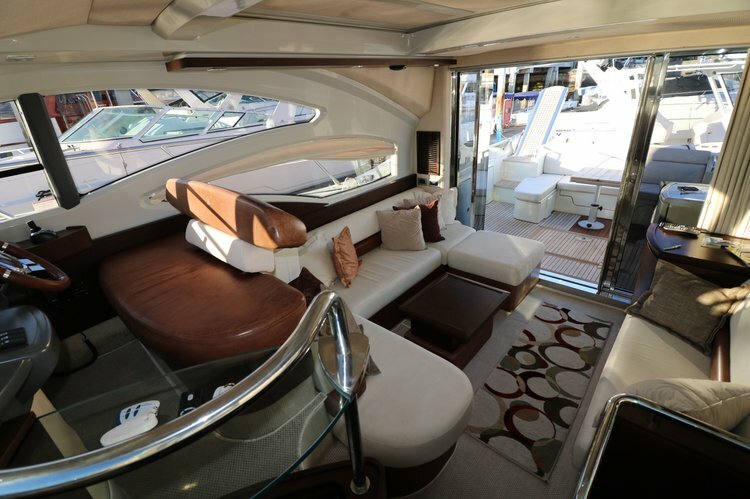 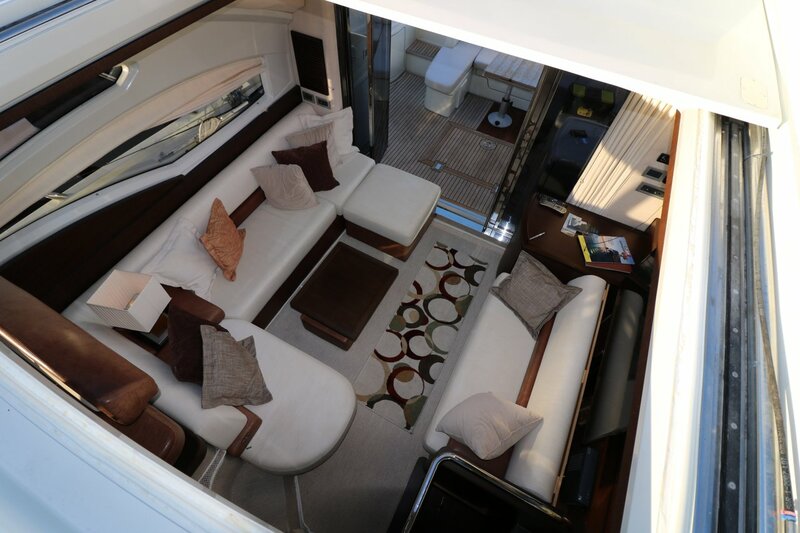 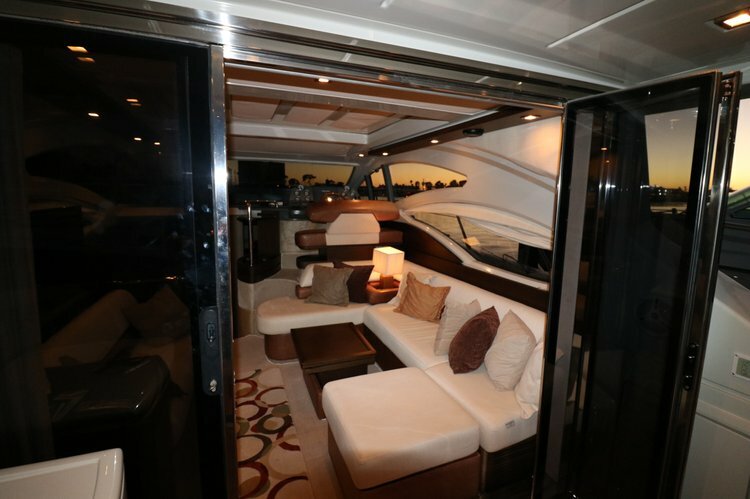 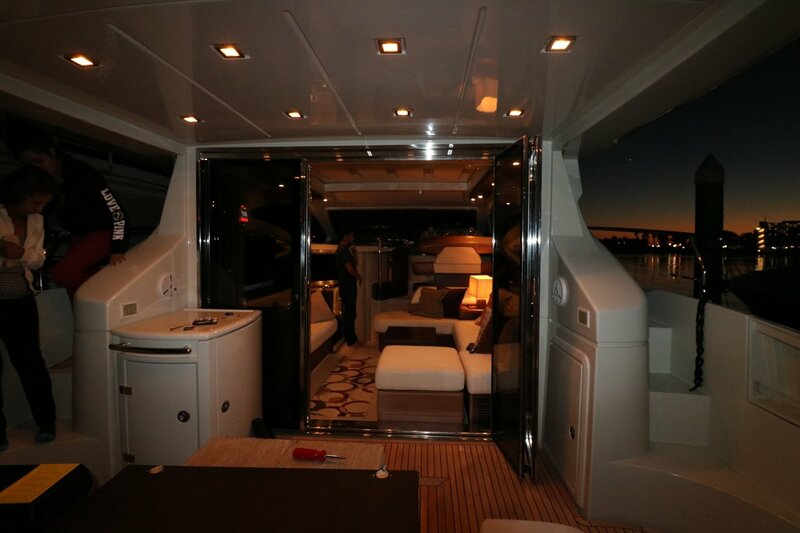 Guests can be on all parts of the yacht. No hanging off the railing; please use proper entrance and exit points. 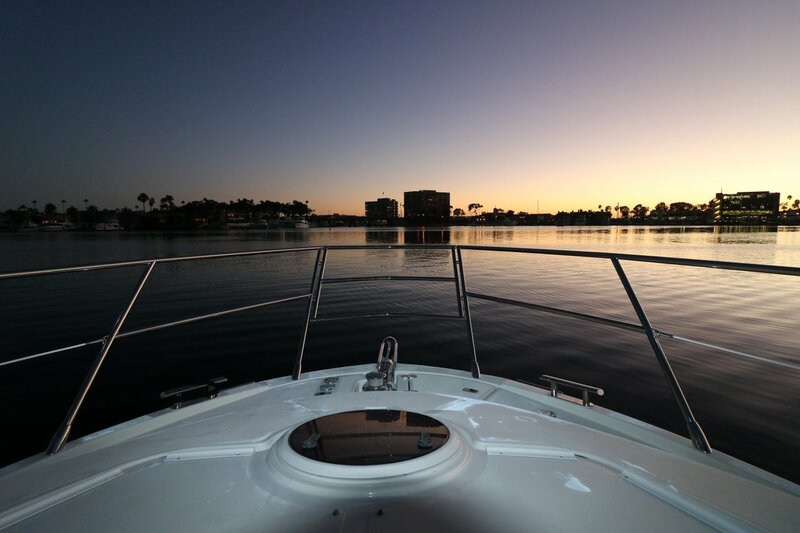 We will plan day adventures, activities, romantic getaways, events, and celebrations for you. 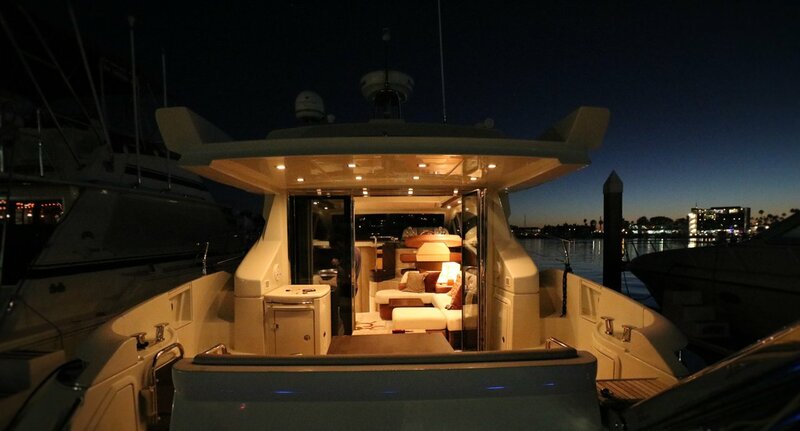 We offer charter services and event planning services. 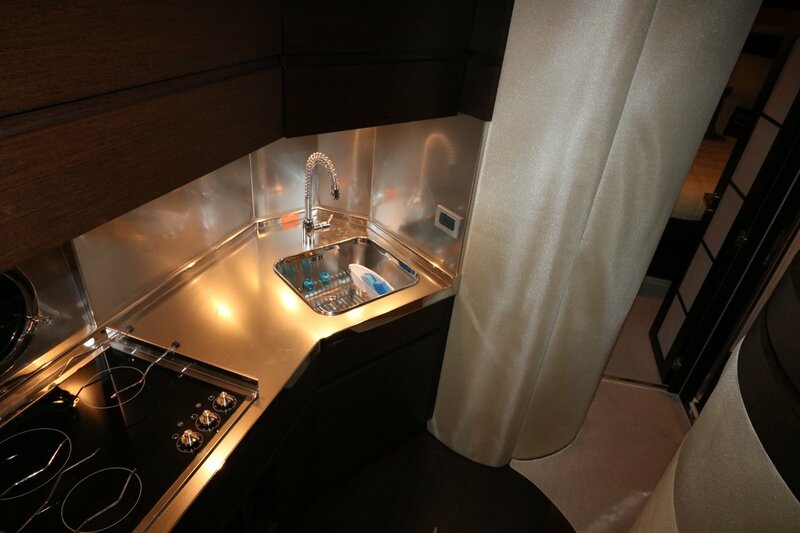 For basic guest stays, interaction is upon request. OC harbors are a great place to view multi million dollar homes, mega yachts, exceptional dining and shopping. 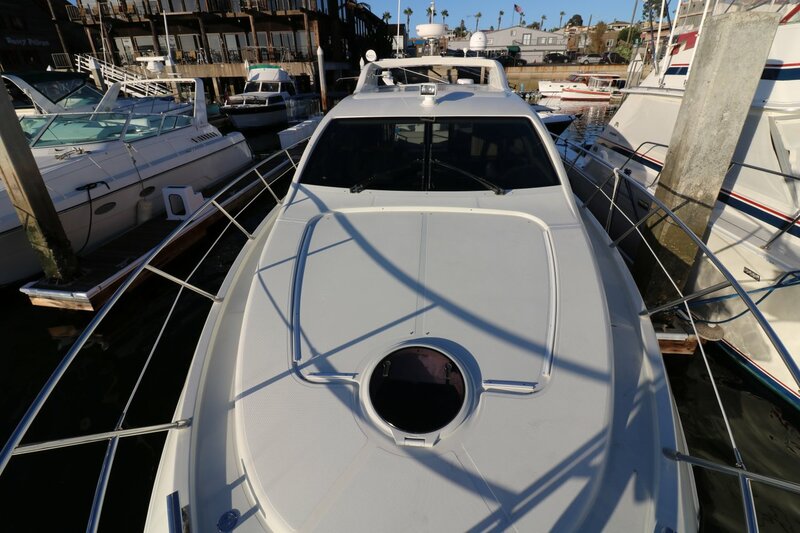 We also offer day trips to Catalina and other nearby destinations completely planned by our expert event planner. 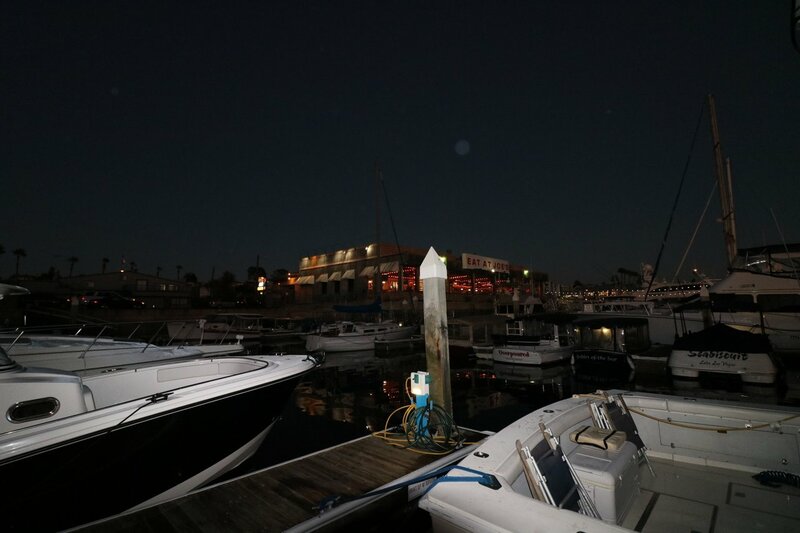 Usually this boat operates around Newport Beach, CA. 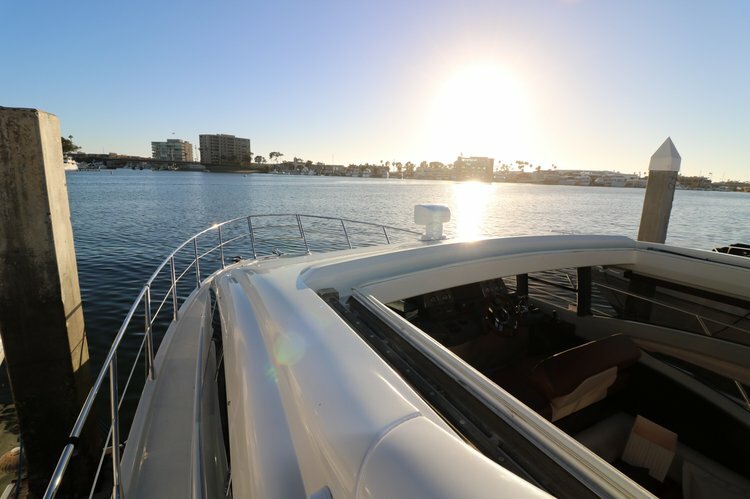 The best way to enjoy one of the most famous boating destinations in Southern California is to explore it on board your own yacht charter. Newport Beach sailing charters are perfect for a day trip to see the magnificent whales, or a deep sea fishing adventure. 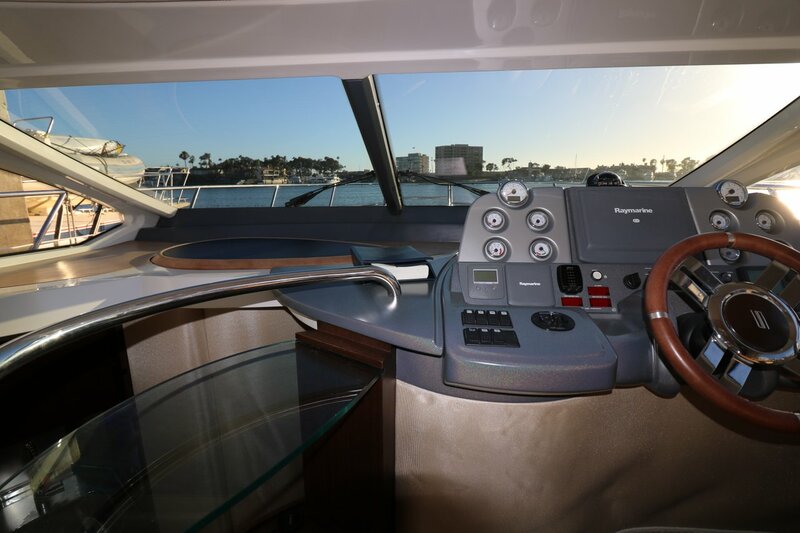 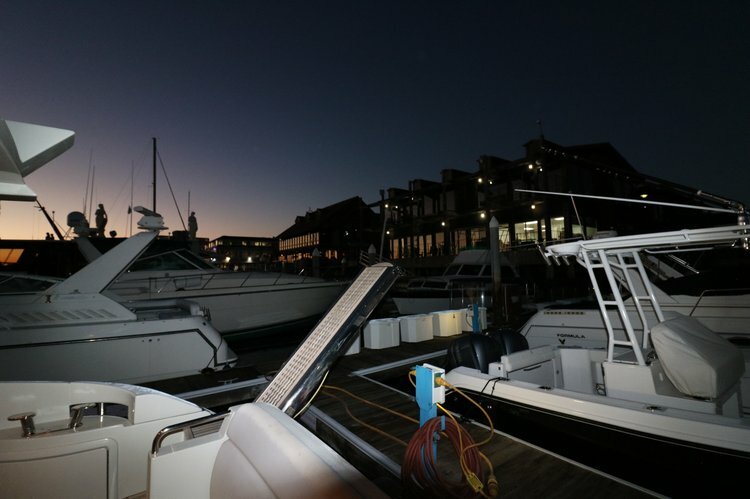 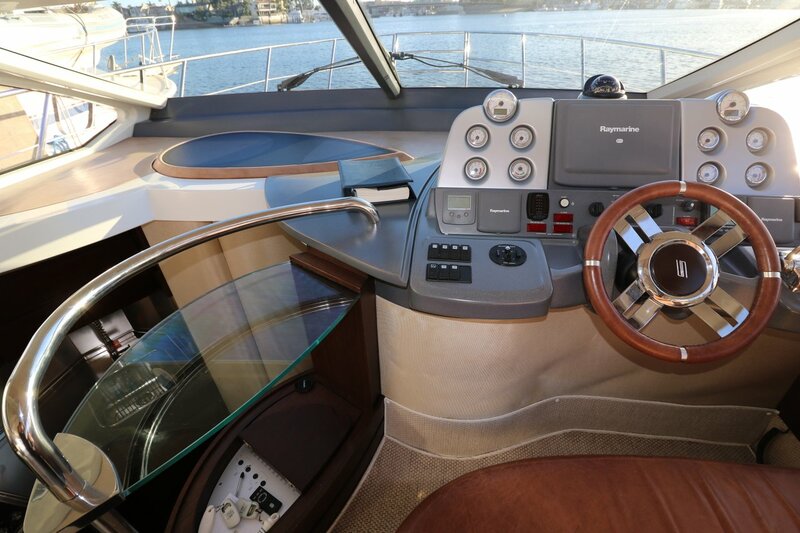 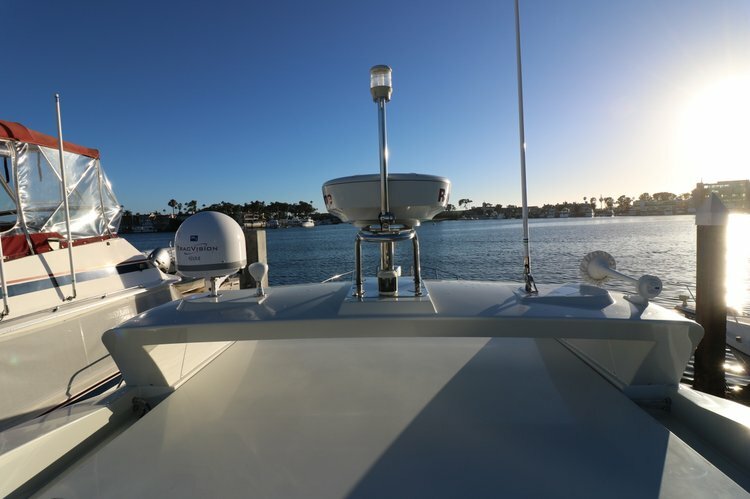 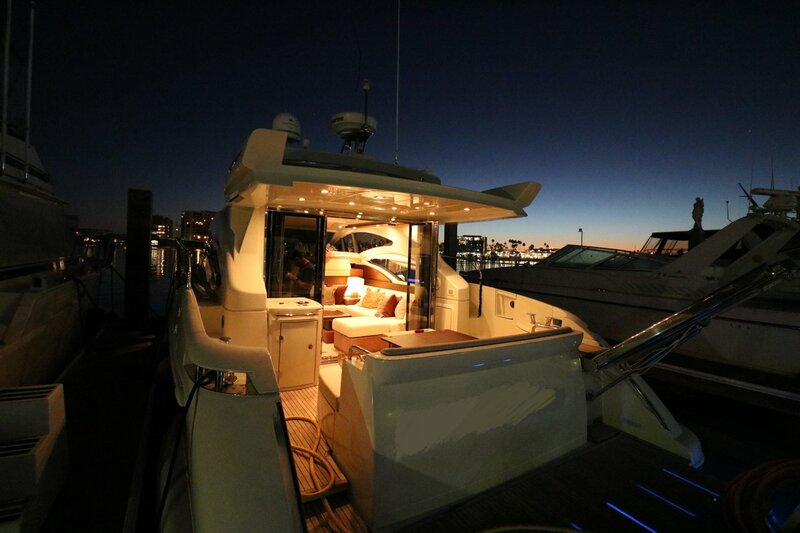 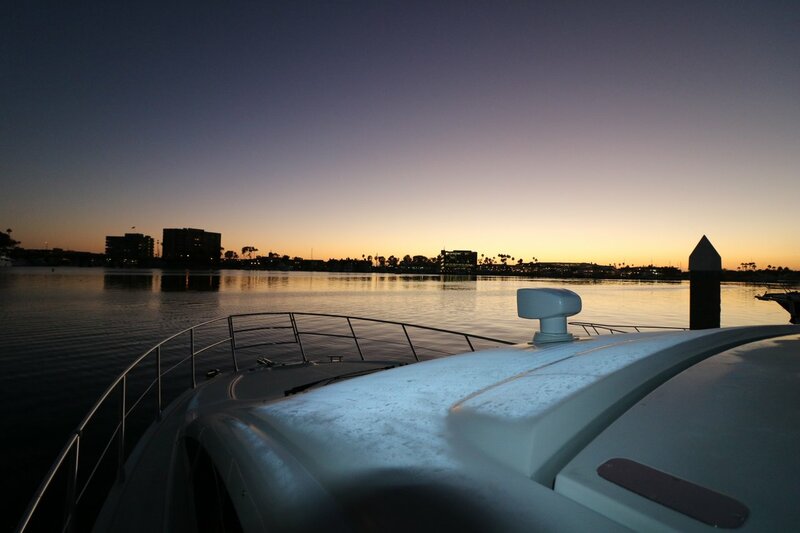 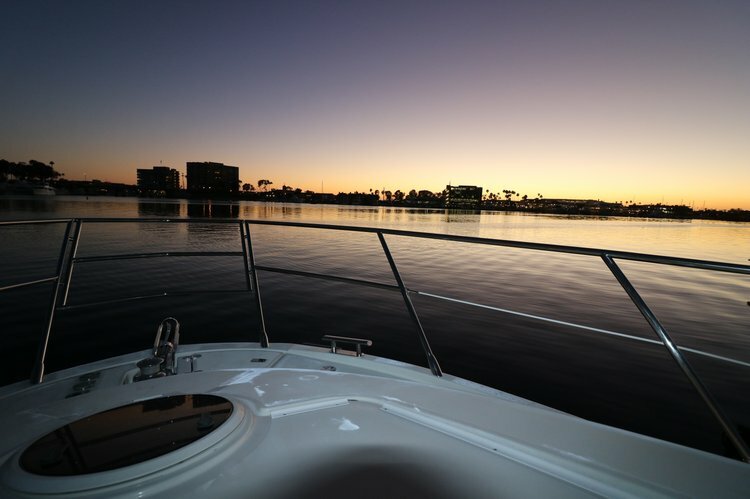 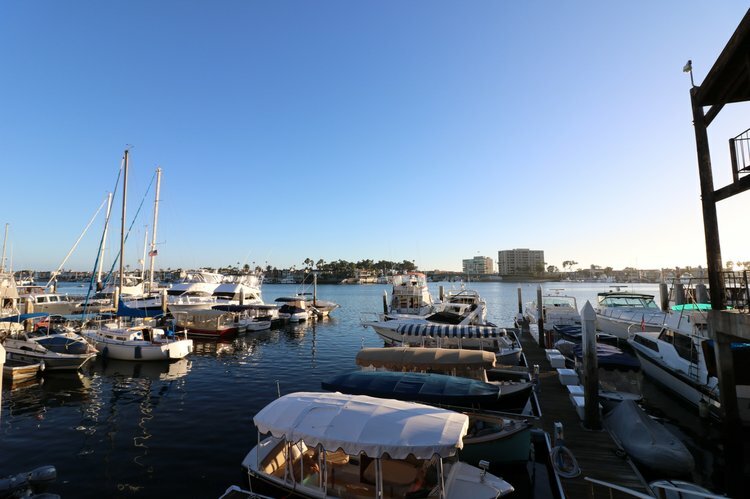 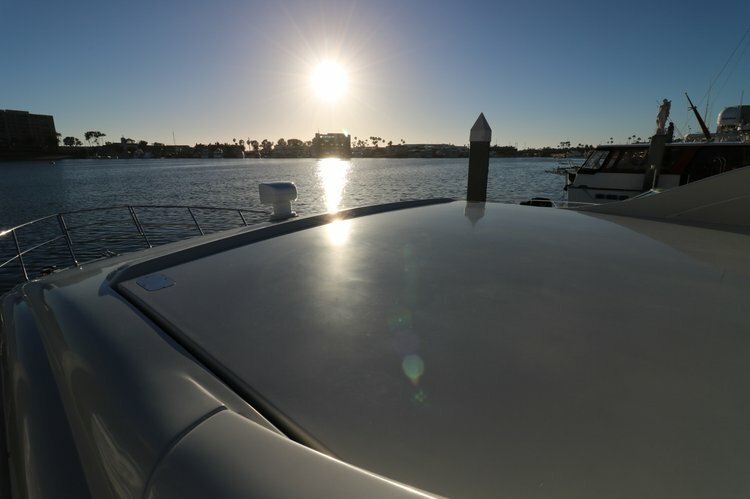 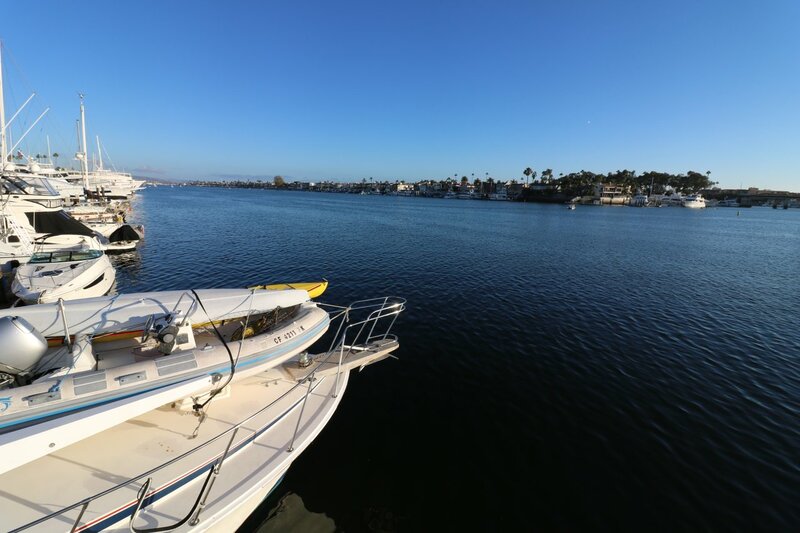 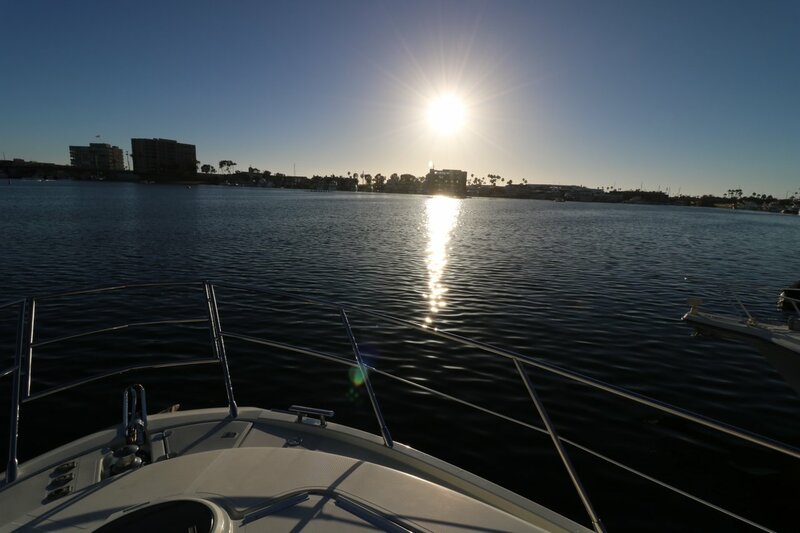 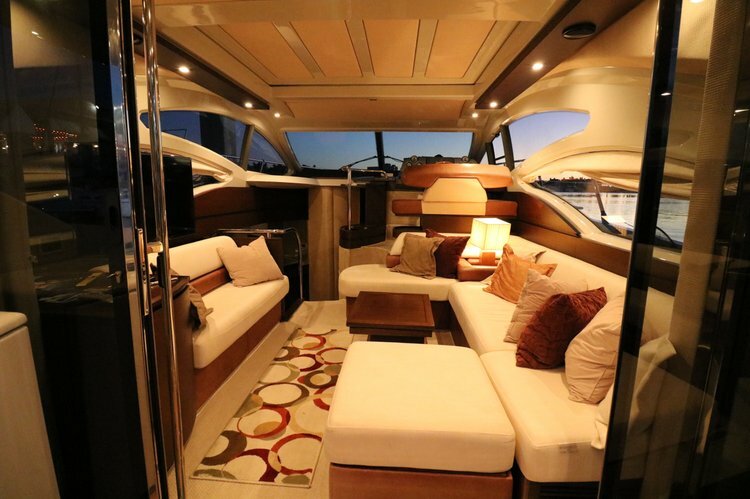 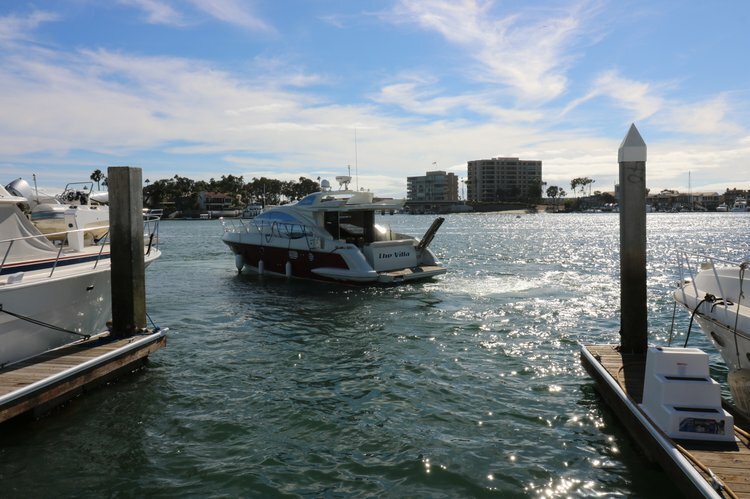 For a romantic evening, pick one of Sailo’s boat rentals in Newport Beach and go for a sunset cruise followed by a fine-dining experience by the water. 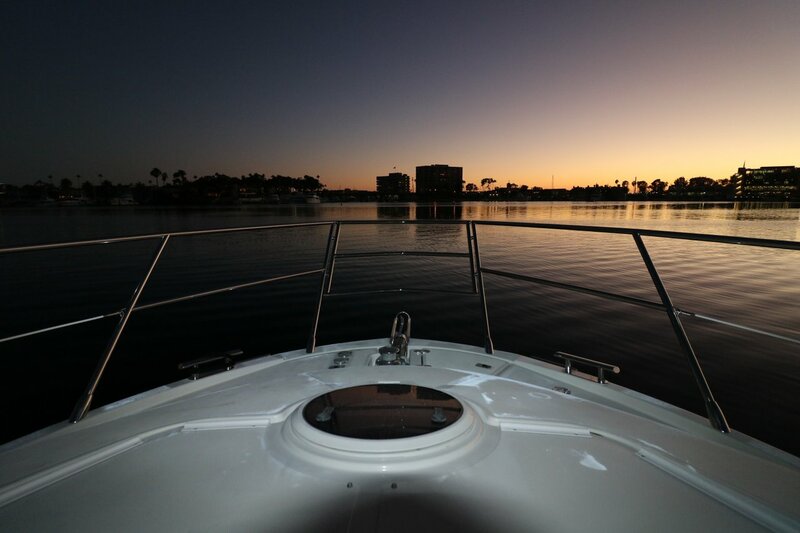 So choose your sailboat rental and start planning your next vacation!